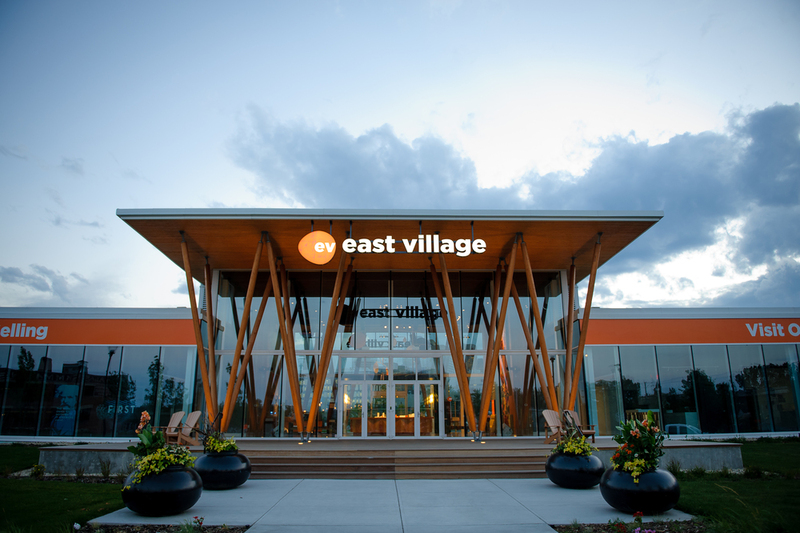 Since opening in March 2012, the EV Experience & Sales Centre has been so much more than just a place to shop for a new home. 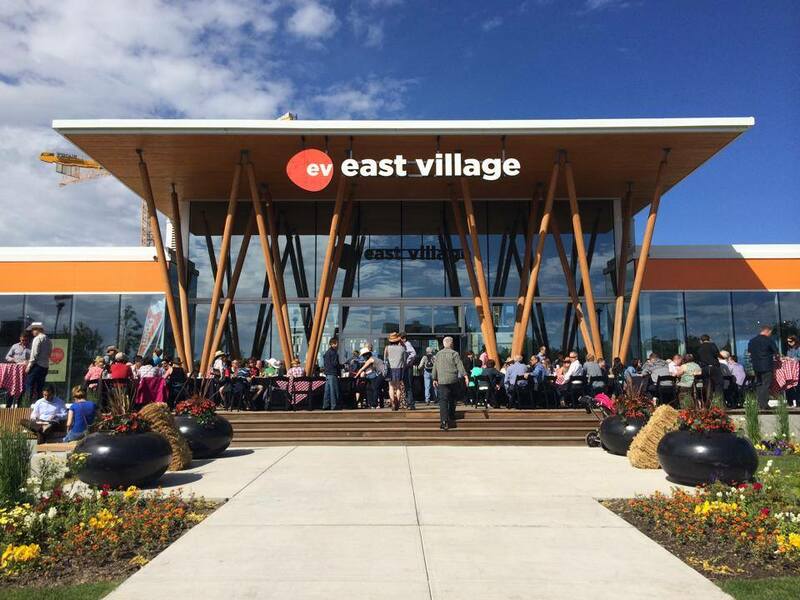 It has become the place to share the stories - past, present and future – of East Village, a place to connect with the people who are building the neighbourhood, and a central meeting place to celebrate life and movement along the banks of the Bow. 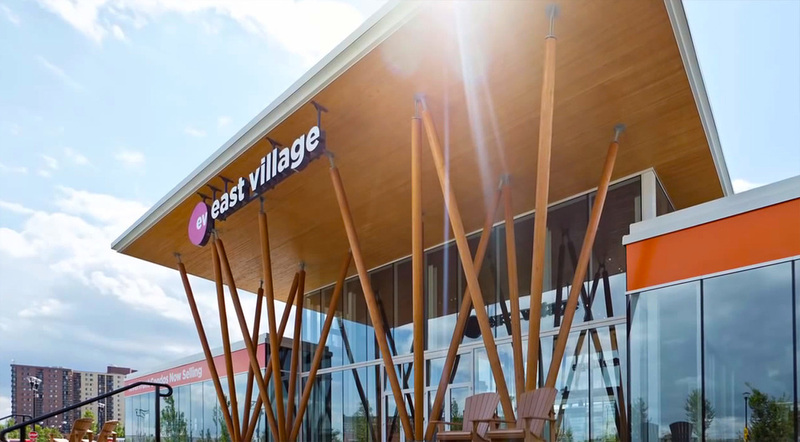 From yoga classes to Voices in the Village, from art exhibitions to Chinese New Year celebrations, the EV Experience Centre carries the heartbeat of East Village. 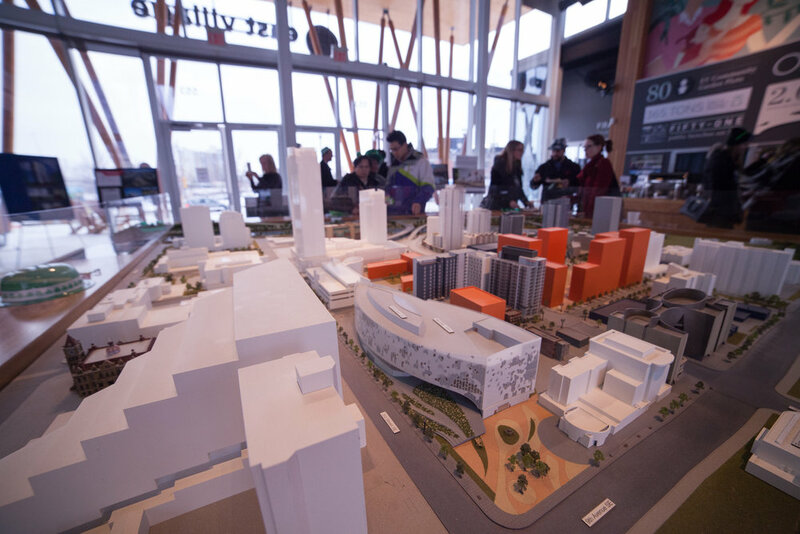 Designed by world renowned architect James Cheng of Vancouver, the EV Experience and Sales Centre is a striking example of contemporary architecture that embraces a shining future while respecting a storied past. 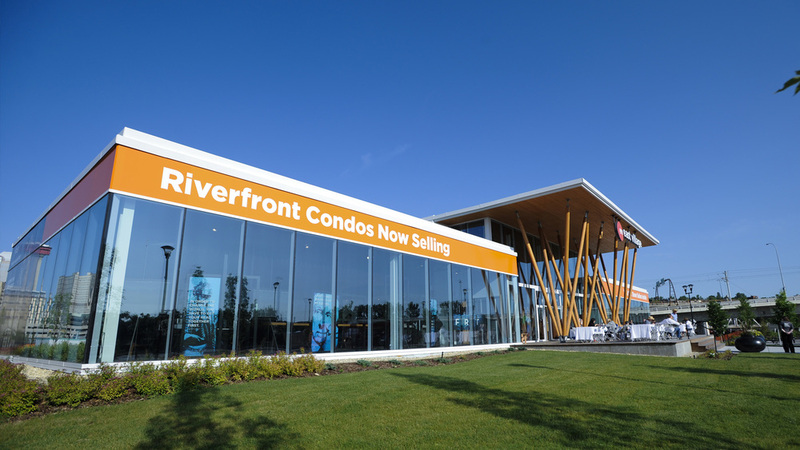 Gleaming wood trusses lead to banks of glass that are positioned to offer stunning views of RiverWalk, the Bow River and the city skyline. 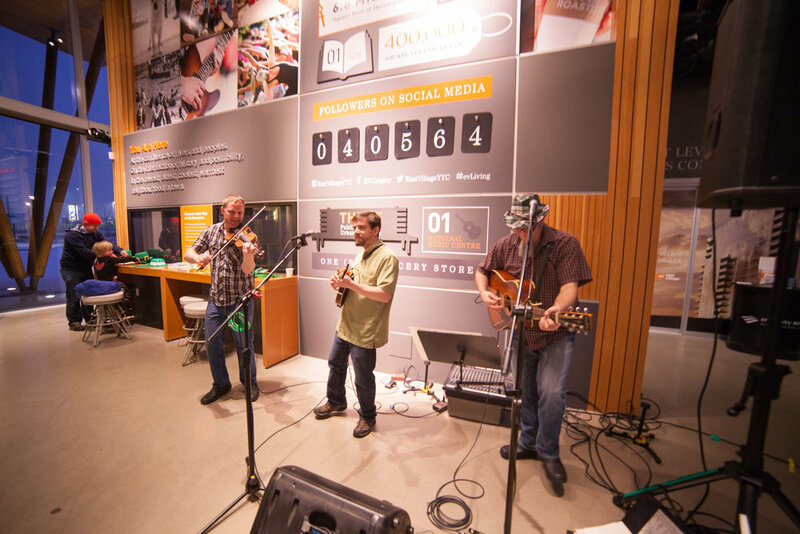 Hours: Mon & Fri 11am - 6pm, Sat & Sun 11am - 5pm. Closed Tues - Thurs. Holidays 11-5pm unless noted.